An enjoyable romantic comedy from Mexico, “You’re Killing Me Susana,” will open at AMC Mesquite in the Dallas area Feb. 24. 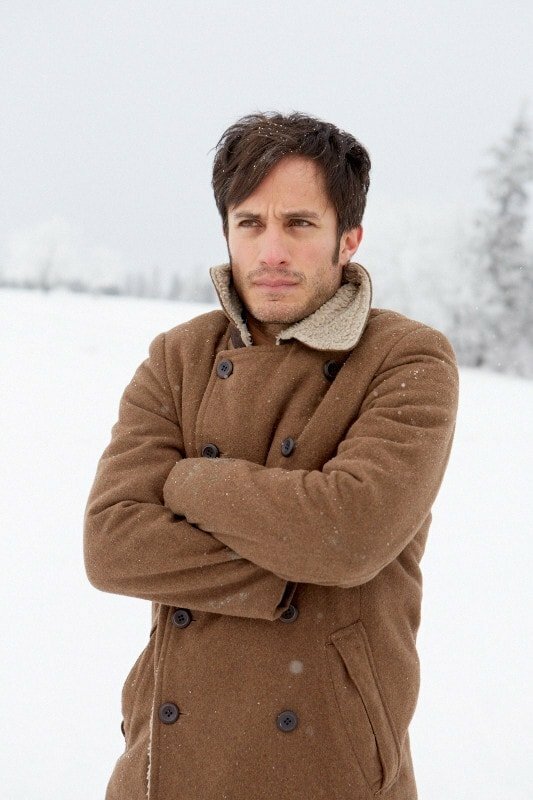 The Spanish language film with English subtitles stars Gael Garcia Bernal, a favorite of mine since I first saw him play Che Guevara in “The Motorcyle Diaries,” as Eligio. He’s a narcissistic actor for TV soap operas who aspires to one day be a serious theatrical actor. When his beautiful, brainy wife Susana (Veronica Echegui) suddenly disappears without leaving a note, Eligio heads to the U.S. in search of her. Tired of Elegio’s philandering ways, Susana has gone to pursue her own dream of publishing a novel, taking writing courses at an Iowa University. Once Elegio finds his wayward wife, he’s stunned to learn she is excelling as an intellectual in a world he doesn’t fit into. Dismayed to find Susana’s future plans don’t include him, Elegio has to pull out all the stops in attempts to get back the loving wife he took for granted. His usual roguish charms don’t seem to work in the cold new climate of North America. “You’re Killing Me Susana” is directed by Roberto Sneider and also features Ashley Grace, Jadyn Wong, Bjorn Hlynur Haraldsson and Adam Hurtig in the ensemble. The story (from a screenplay by Luis Camara and Sneider, from Jose Agustin’s novel “Deserted Cities”) reminded me of “La La Land.” This film also focuses on two young, creative artists who are pursuing different dreams that might mean they lose each other along the way. However, “You’re Killing Me Susana”—distributed by Hola Mexico Distribution—has an ending that should satisfy even the most die-hard romantic. Elegio learns the hard way that if you want to keep someone you love, you have to be prepared to let them go. Bernal, who recently won a Golden Globe award for Best Actor in a Comedy Series for “Mozart in the Jungle,” is in top form as Elegio. His lovely co-star Echegui is more than his match as the strong-willed Susana. If you’re looking for a way to keep the rosy glow from Valentine’s Day going, this film would make the perfect date night film.